Are You Looking For A Speaker To Bring To Your Next Event? 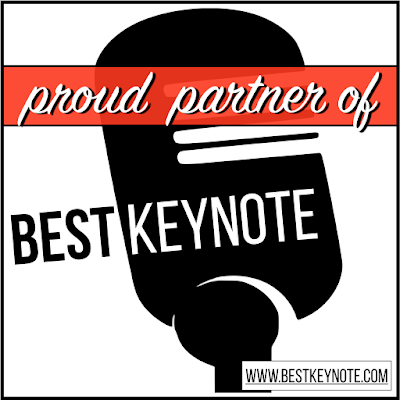 Best Keynote Can Help & Has The Speaker Right For You! 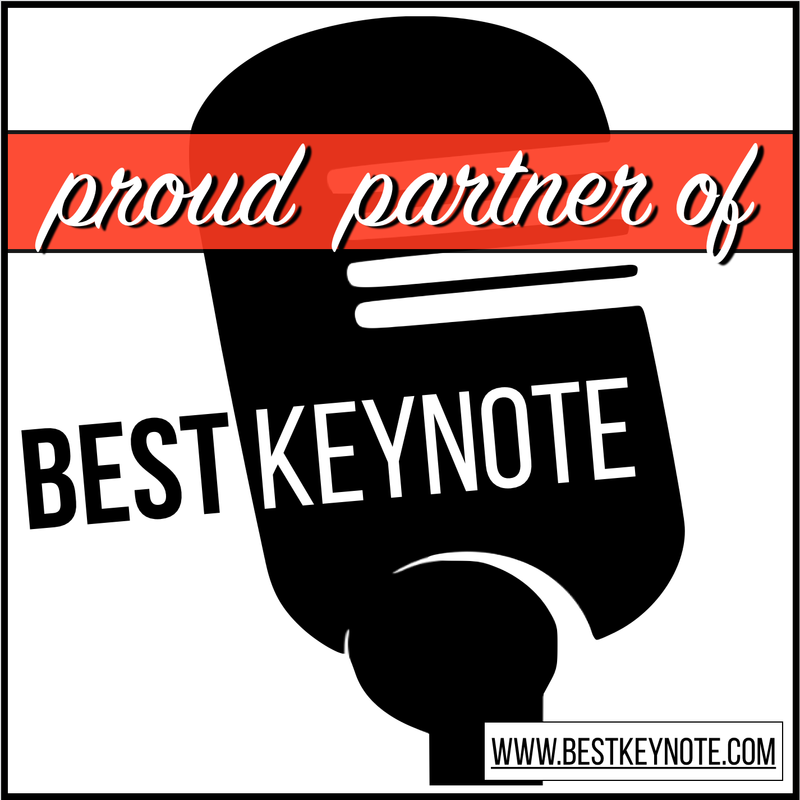 Best Keynote is a first-rate coalition of speakers and consultants who bring leading-edge solutions while delivering the message with heart. My amazing friends Kevin Honeycutt and Ginger Lowman, along with ESSDACK, brought us together to create Best Keynote. 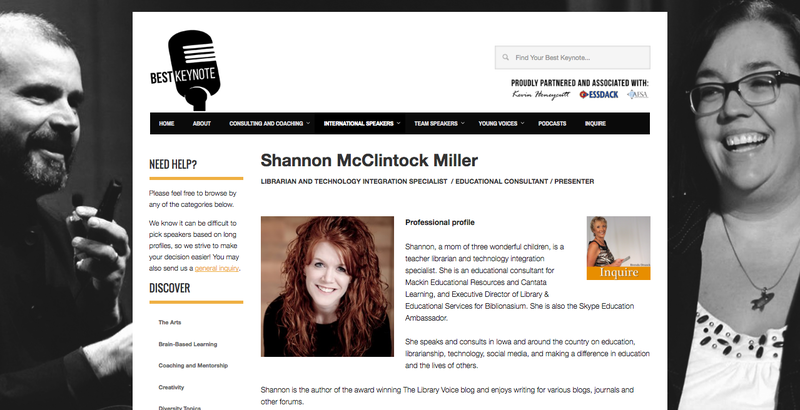 You can find my page on Best Keynote here. 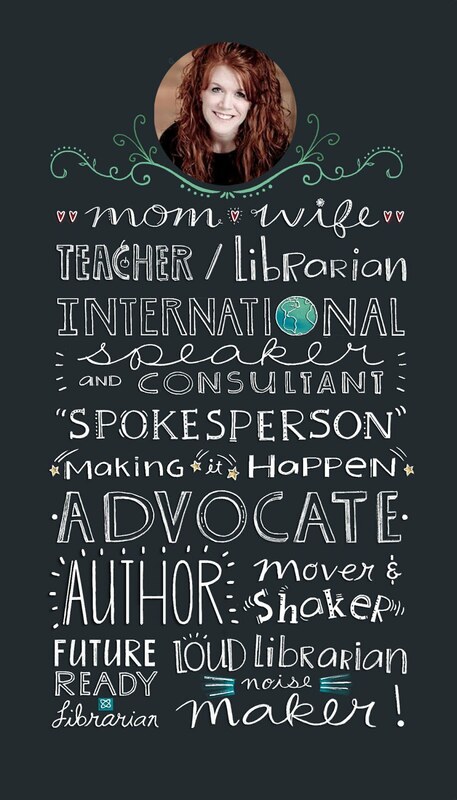 I love doing keynote and other type of presentations and consulting, so please contact me if you are looking for your next event. Also, look for us on Facebook, Twitter and we will be at ISTE and other places coming up soon. 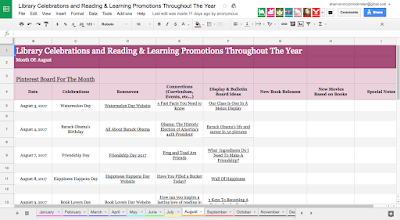 A Google Document For "Library Celebrations & Reading Promotions" Throughout The Year! 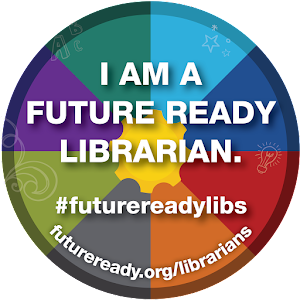 Some of the best things about being a teacher librarian and working with the entire school community in the library, are all of the celebrations and reading promotions that happen throughout the year. 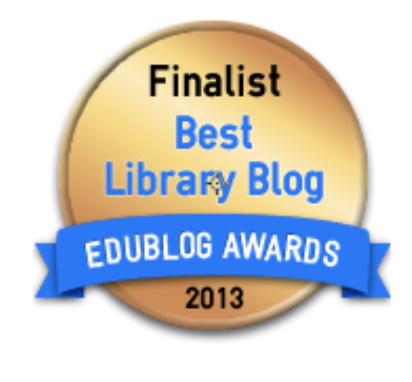 There is always something awesome taking place which brings excitement, engagement and fun to the library and school. 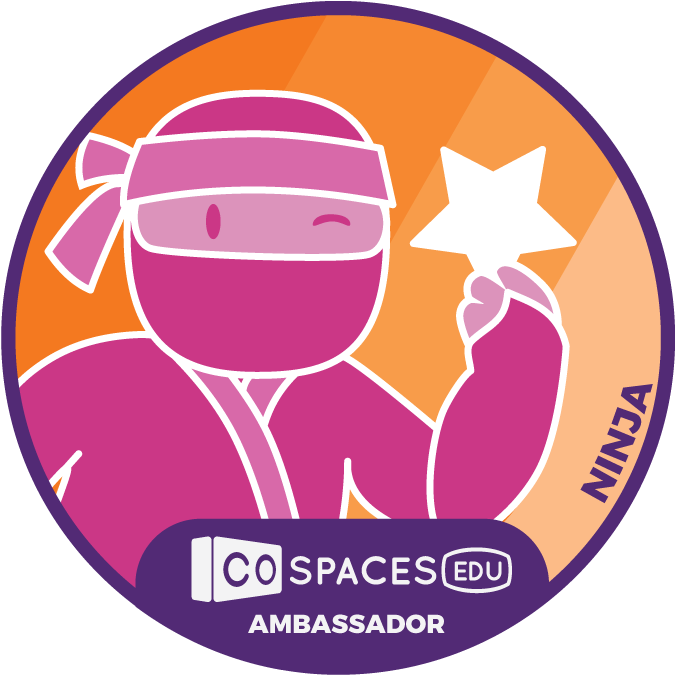 These celebrations bring everyone to the library which promotes reading, making, collaboration and wonderful connections within the walls of your space and others around the world. 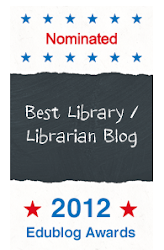 We created a Google Document for all of us to share for Library Celebrations & Reading Promotions. 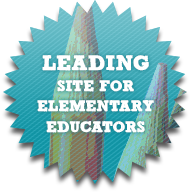 We can share these events each month and the resources that support them. 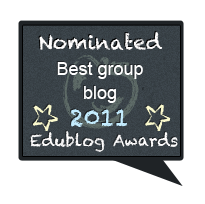 This is where great collaborations can take place within your school, globally and other parts of the curriculum. We will make note of these under the Connections column. 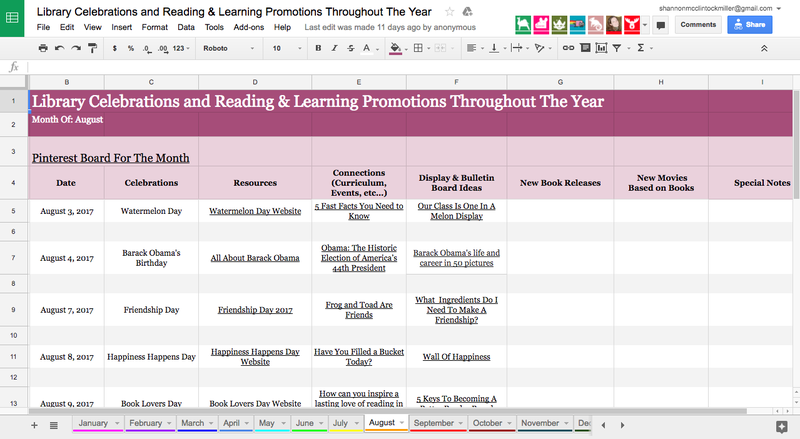 The last two columns are for New Book Releases and New Movies Based on Books which are released each month. And of course, any Special Notes we want to share. 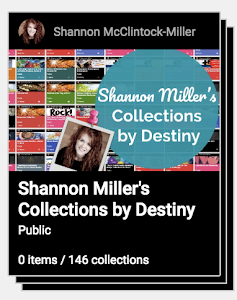 If you have something you want to add, please request access to the Google Document and you can contribute to the events already there and add others. 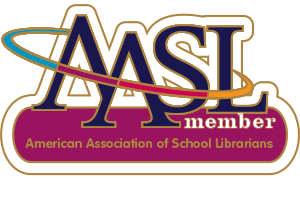 As we move into a new school year, this is the perfect time to embrace these events and promotions in your library and school too! I am always looking for new coding websites, apps and tools that will help our young ones learn, develop and practice these important and essential skills. 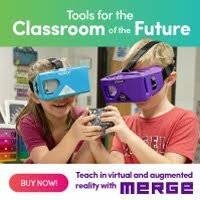 When I saw this new product to go along with our Osmo, I was very excited! They have announced Osmo Coding, which allows children to combine tangible blocks with an interactive game to teach logic skills and problem solving through coding. 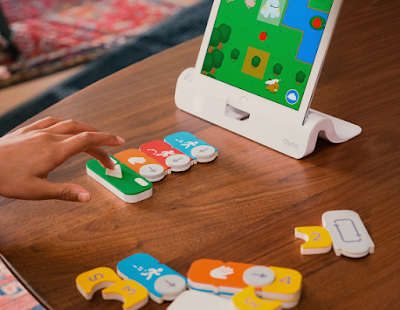 As you can see, Osmo Coding will not only be educational for children, it is also very fun and interactive too. 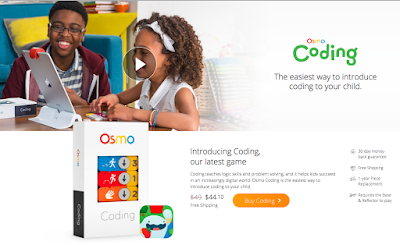 You can learn all about Osmo Coding here. 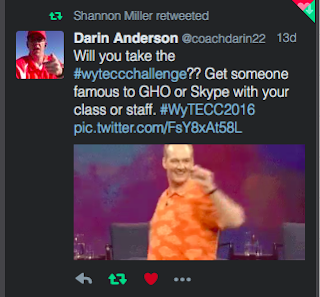 I can't wait to try it out this summer too! #BunceeChat....You Don't Want To Miss It! 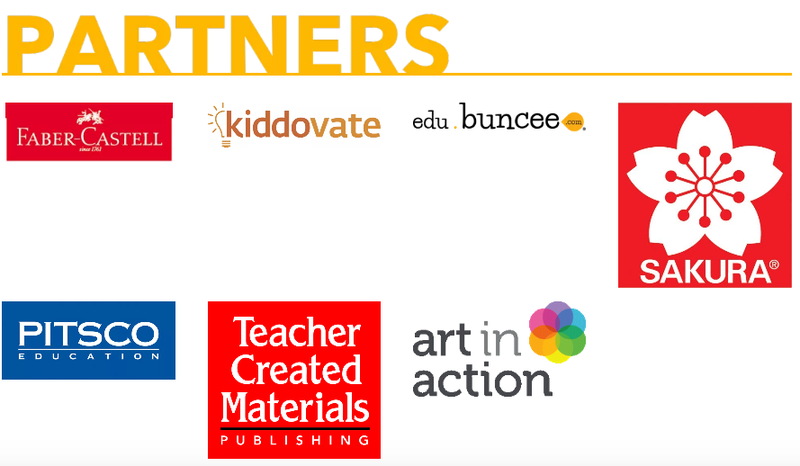 Our friends at Buncee have created a very special place for all of us to meet, learn and share. 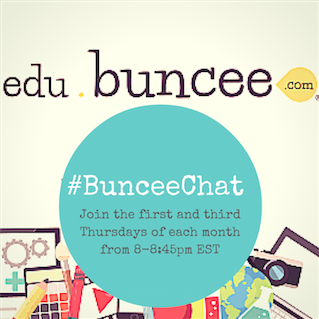 It is called #BunceeChat and will be held on the first and third Thursday of each month from 8:00-8:45pm EST. 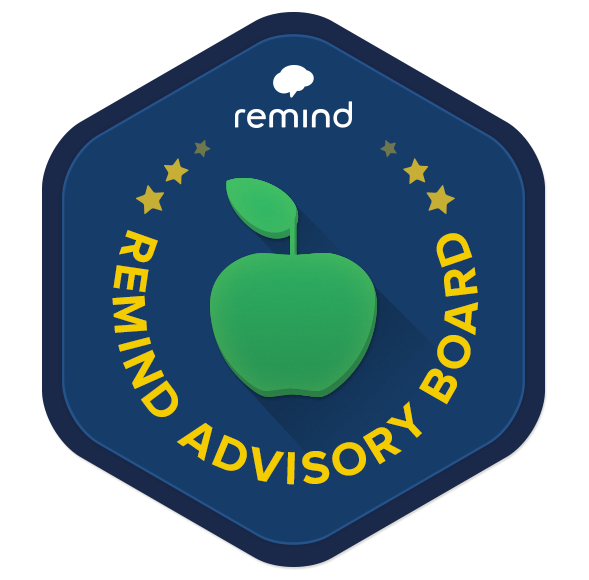 During each chat, they will have a guest moderator open up a discussion with the community and share questions on the week's topic. 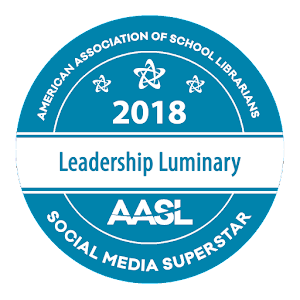 This last week, #BunceeChat was all about summer reading. 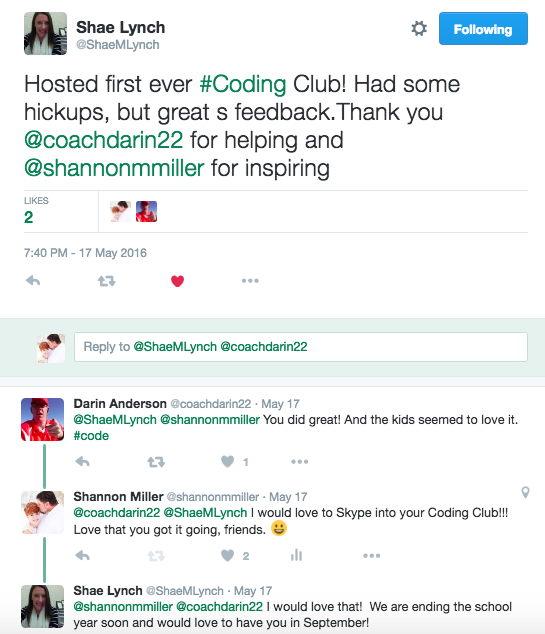 It was an awesome chat with so many ideas and resources. 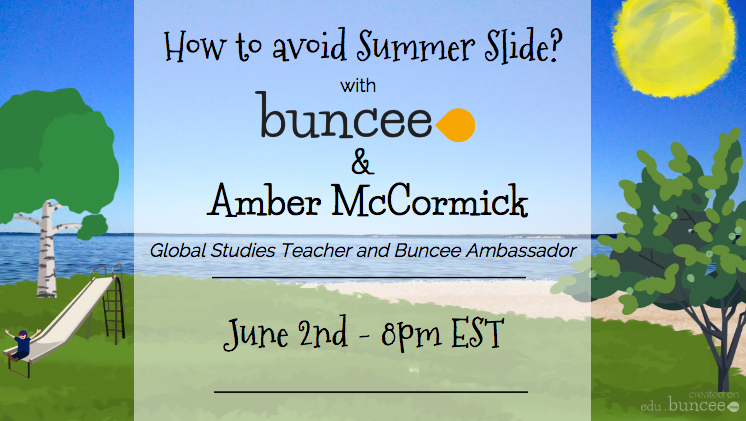 Join the next #BunceeChat at 8:00pm EST on June 2 as we all talk about how to avoid the summer slide. 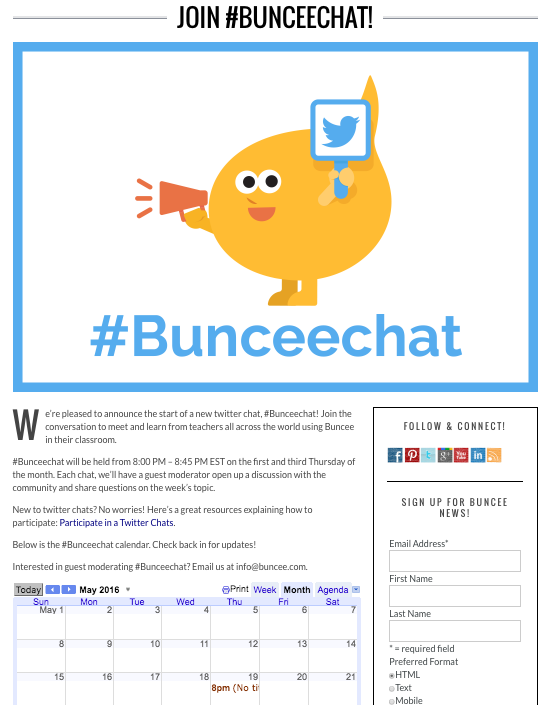 You can find more about #BunceeChat on the Buncee blog here too. As you read this, think about the question above. What is one thing you will try with your students before year's end? 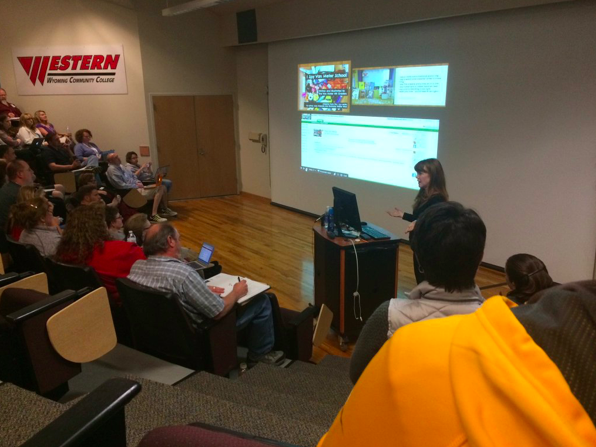 Two weeks ago, I had the honor of traveling to the WYTECC Conference in Green River, Wyoming. 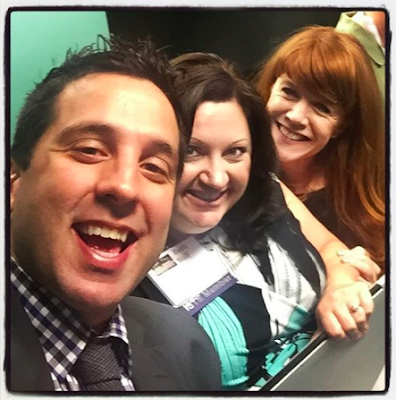 It was wonderful sharing with everyone in the keynote and throughout the day. And very fun catching up with special friends and making new ones. 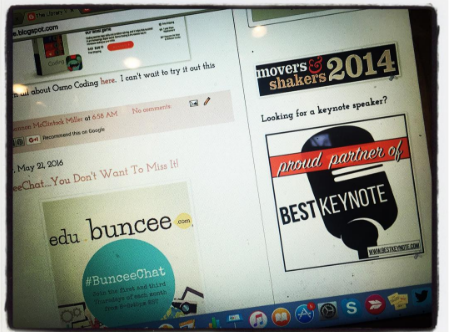 At the end of the keynote, I reminded everyone change starts by doing one thing. 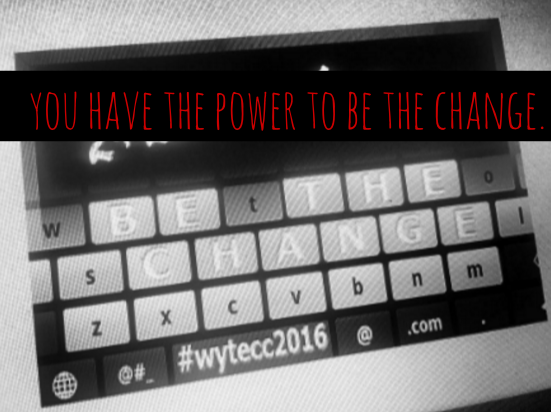 That is all it takes to make a difference...to "Be the Change" as their conference theme stated....is one thing. And everyone has the power to be the change. 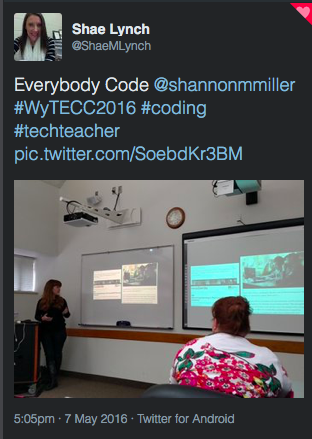 In the afternoon, I shared Everybody Code: Teaching and Learning an Essential 21st Century Skill. 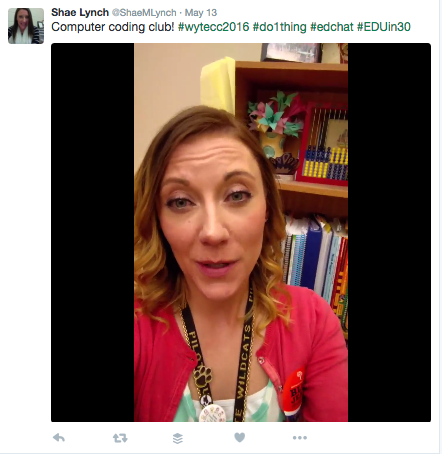 This is where I met Shae Lynch, who is a K12 instructional coach in Rock Springs, Wyoming. 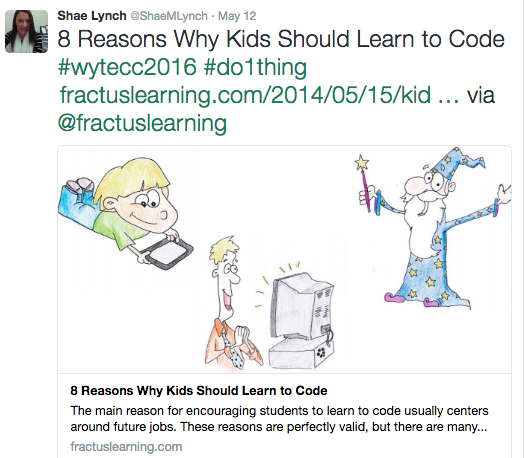 Shae came to the Everybody Code presentation. And she was hooked! 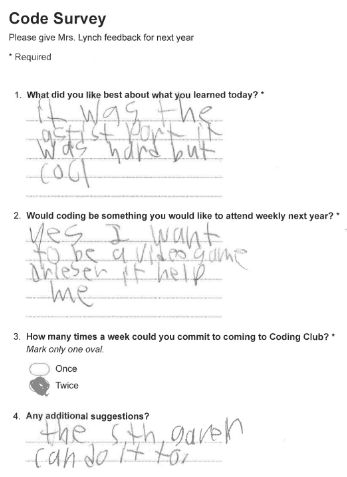 She was inspired to dive in and kick off coding at her school too. 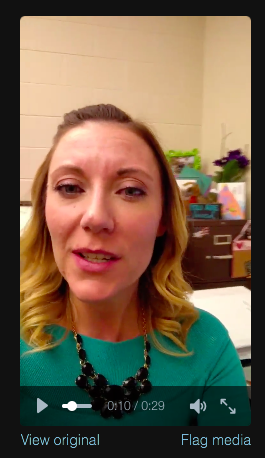 She was inspired to created a change with her students. Since they were challenged to #Do1Thing with the #wyteccchallenge on that day, this would be the perfect place to start. She had her one thing! Listen to Shae's takeaways from the day. Over the next week, I followed Shae on Twitter, as she shared coding articles, her plans and showed excitement for her one thing. A few days ago Shae shared this video. You just have to listen to what was happening at her school. She did it! 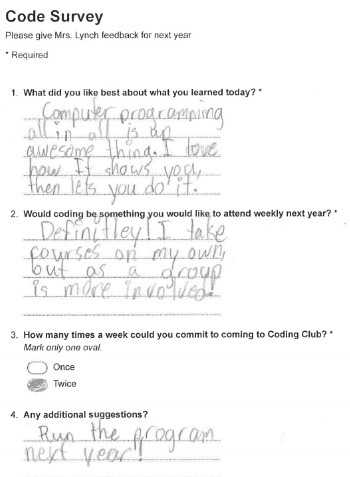 She was kicking off a coding club! 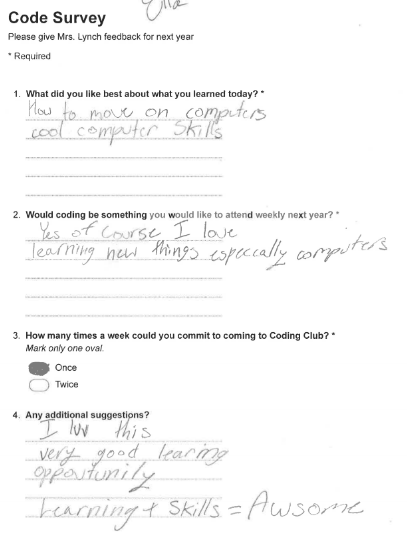 On May 17, they had their first Coding Club. 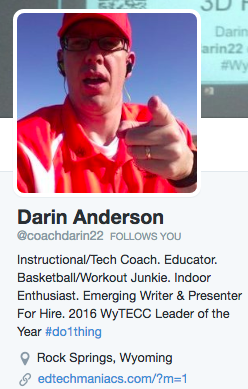 I love the feedback she gave on Twitter and how Darin Anderson was right there to support her too! 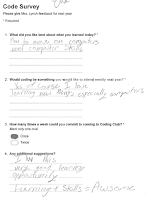 This week she shared the Code Surveys she gave the students who participated. Shae wanted to make sure her one thing was going to make the difference she was hoping. 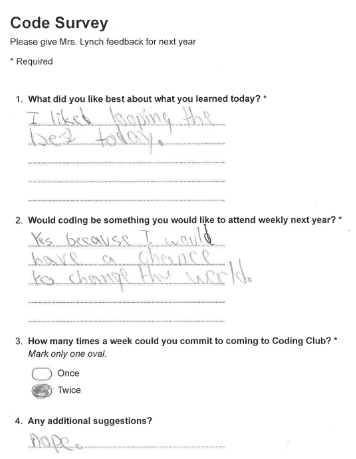 I would have a chance to change the world. 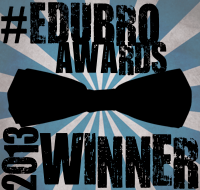 Her students were empowered. They loved the one, new thing she brought to them. They saw the power in this. 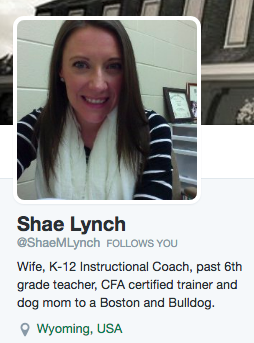 Shae was right....she was going to change the world and the lives of children with her one thing! I am proud of Shae. I admire her for sharing her journey with all of us....for being transparent and honest...for taking a chance on something new. She wasn't afraid. She wanted her one thing to make a difference. I can't wait to see where your one thing takes you and your students next year. 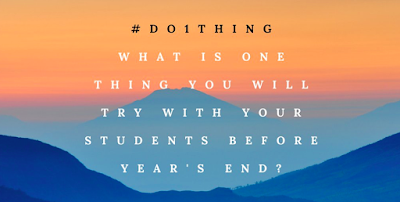 We challenge all of you to #Do1Thing by the end of the year that will make a difference too. 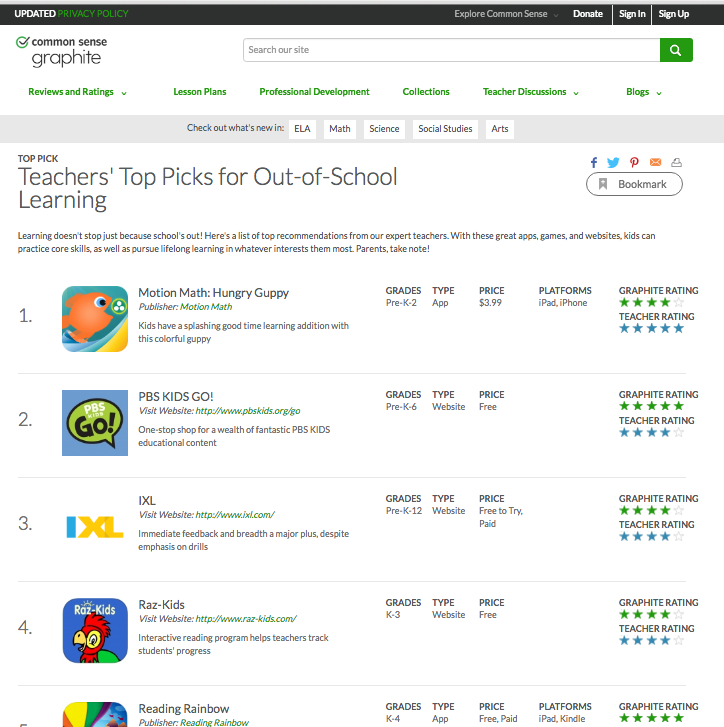 Common Sense Graphite....One of the Best Places To Find New edTech Tools & Ideas! I love getting emails from Common Sense Graphite. They always have something exciting to share. 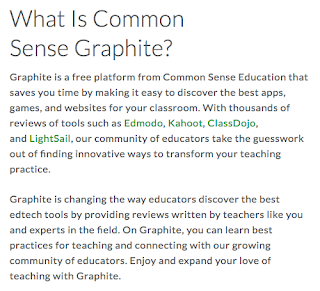 Common Sense Graphite is a free platform from our friends at Common Sense Education. 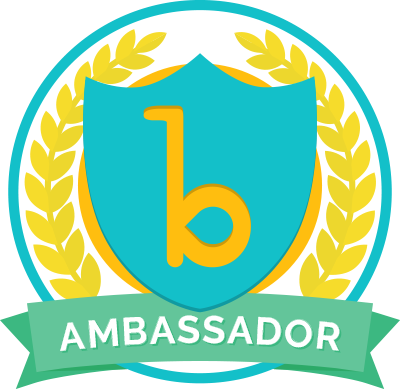 I love it because it makes it easy to discover the best apps, games and websites for the library, classroom and as a parent. 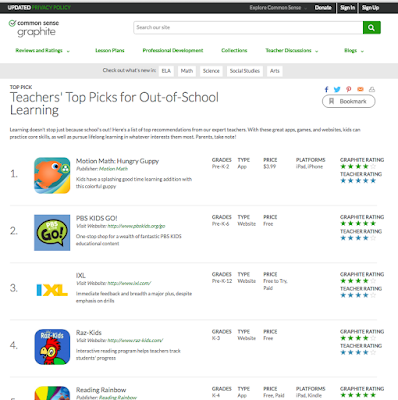 All of the edtech tools they include on Common Sense Graphite are reviewed by teachers and experts in the field. 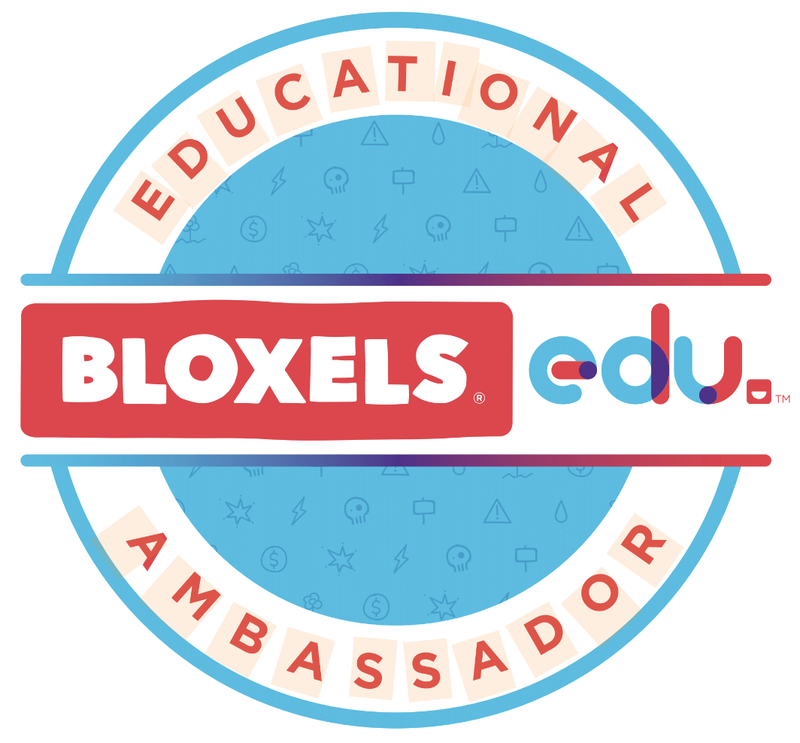 So not only are we getting this wonderful information, we also have access to best practices for teaching and are able to connect with an amazing group of educators all over the world. 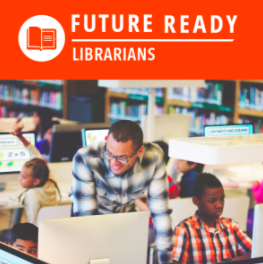 In the email this morning, they included this list of Teachers' Top Picks for Out-of-School Learning filled with apps and websites perfect for all of the summer learning coming up. You can see this here too. 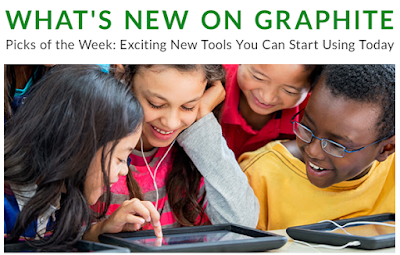 The Common Sense Media app is also super handy. 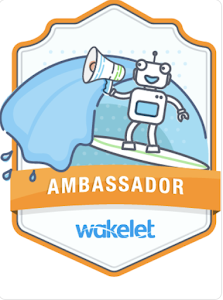 You can find the best apps, websites, books, games, movies, TV shows and more.....just like on the website. You will find their free app here. 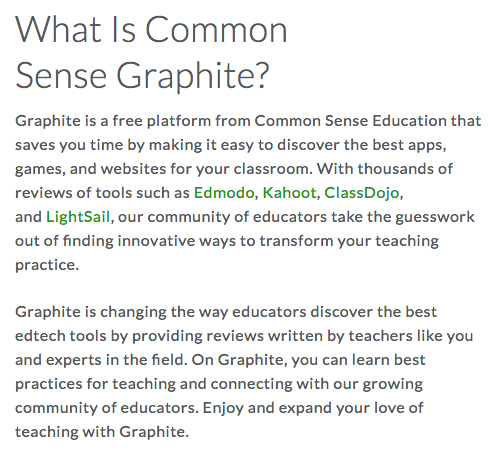 There is something for everyone on Common Sense Graphite. 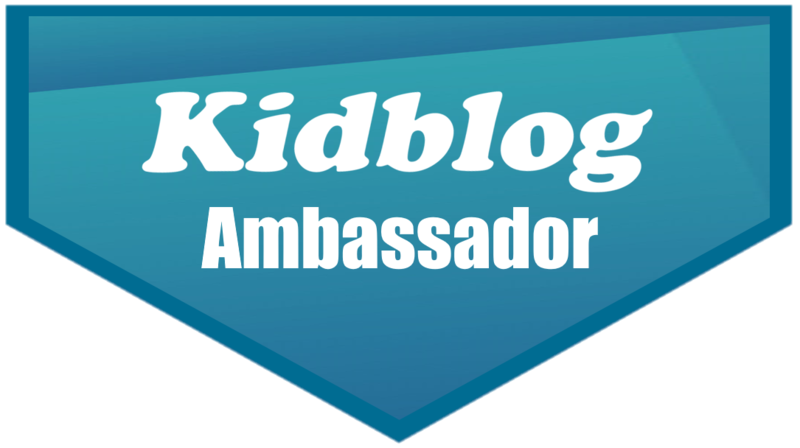 Sign up today to get your free newsletters too. 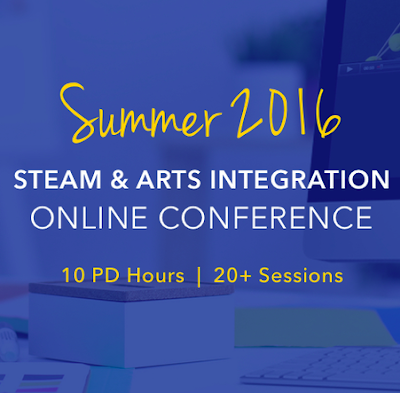 You Don't Want To Miss The "Steam & Arts Integration Online Conference"...One Summer Event That I Am Very Excited About! 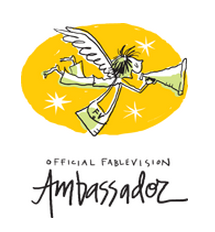 This summer I am very lucky to be a part of several wonderful events. One that I am especially excited about is the Connectivity Steam & Arts Integration Online Conference July 21. 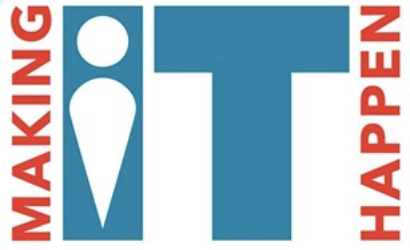 This event is all online and you can view it live or on-demand so it makes it very easy to attend from home, at your convenience and doing what you do in the summer months. 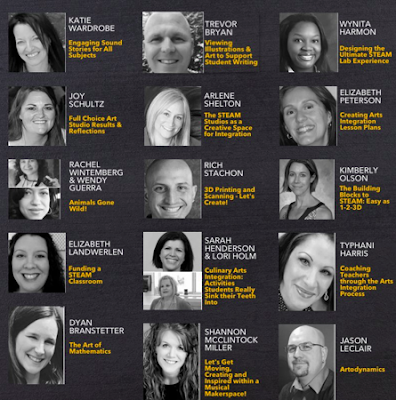 To start, the lineup of presenters and presentations is amazing! 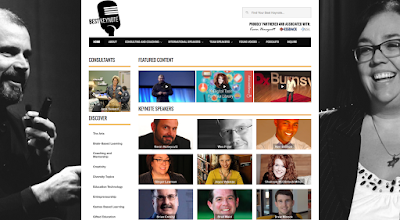 There are lots of presentations that I want to attend. I know I will learn so much from these wonderful presenters and what they have to share. I am presenting two sessions. 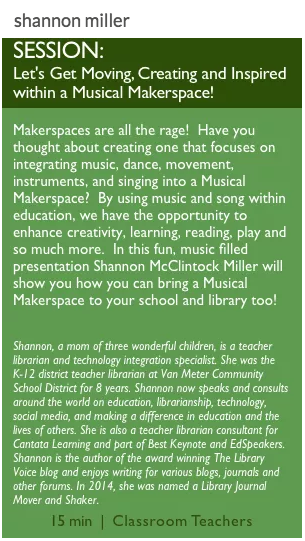 One is a 15-minute online live presentation called Let's Get Moving, Creating and Inspired Within A Musical Makerspace. The other 15-minute presentation will be recorded and viewed on-demand. 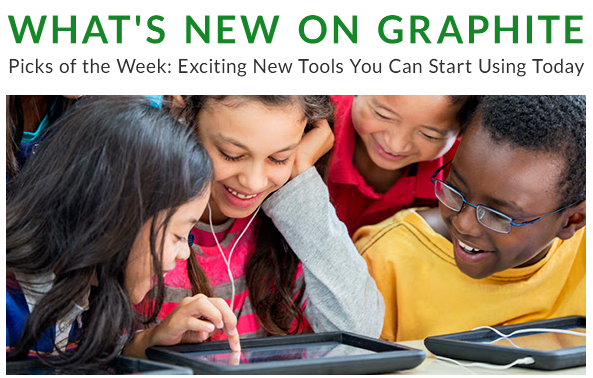 This is called Igniting Innovation and Creativity in Our Makerspaces With Digital Tools and Apps. 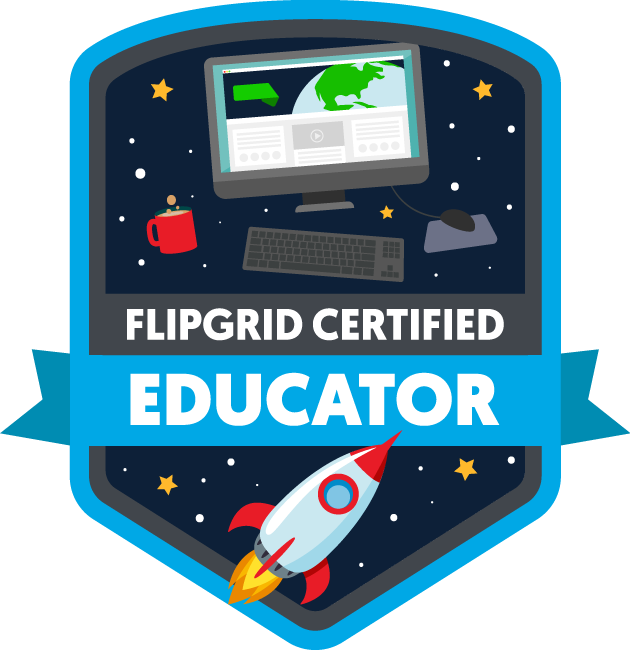 By attending my sessions and other others included in this day, you will receive a 10 hour PD certificate. 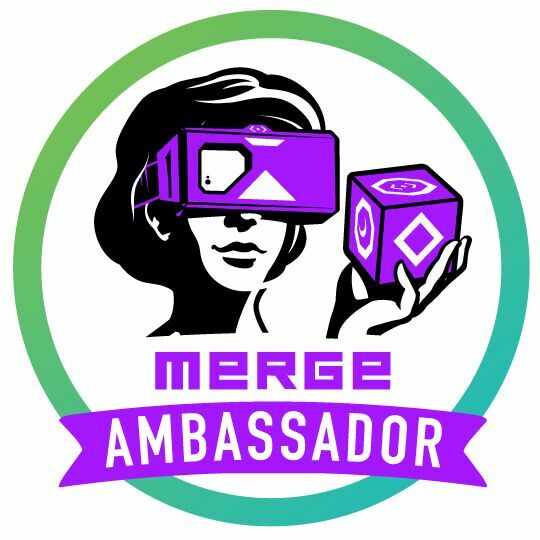 Also, throughout the day you will have the chance to interact with the incredible partners that helped make the conference possible. 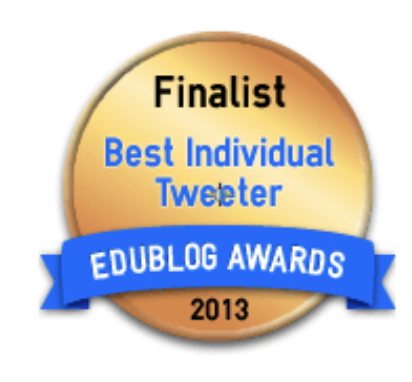 There is time to register but I would do it before June 15 with the Early Bird Registration. 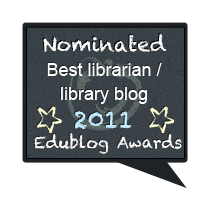 You can find out more about it towards the bottom of the page and here. You won't want to miss this special event. I hope to see everyone there. 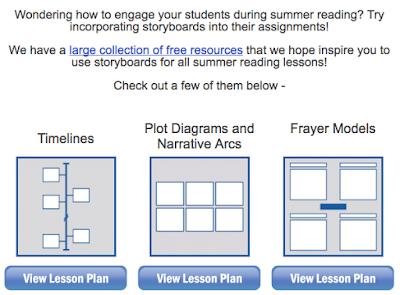 Summer Reading Activities With StoryboardThat! 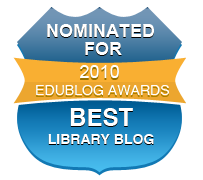 We are all looking for engaging, fun and creative summer reading activities for our children. 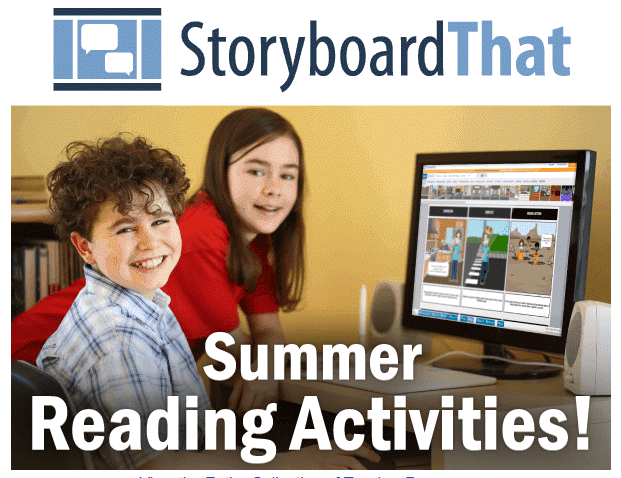 This summer you should give StoryboardThat a try for summer reading! You can use integrate storyboards into their assignments. 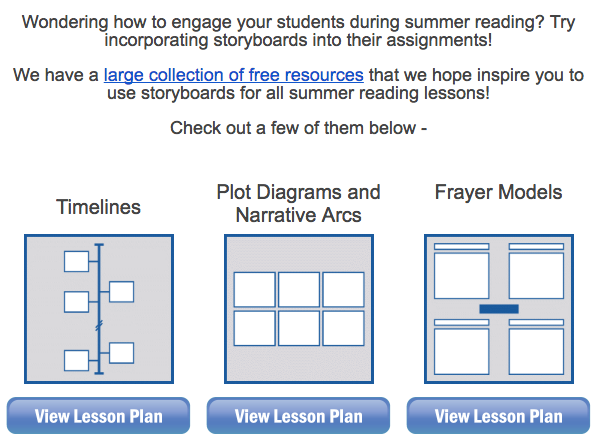 This will definitely throw a lot of inspiration into their summer reading as they are able to create wonderful storyboards using all of the different elements and features included in StoryboardThat. 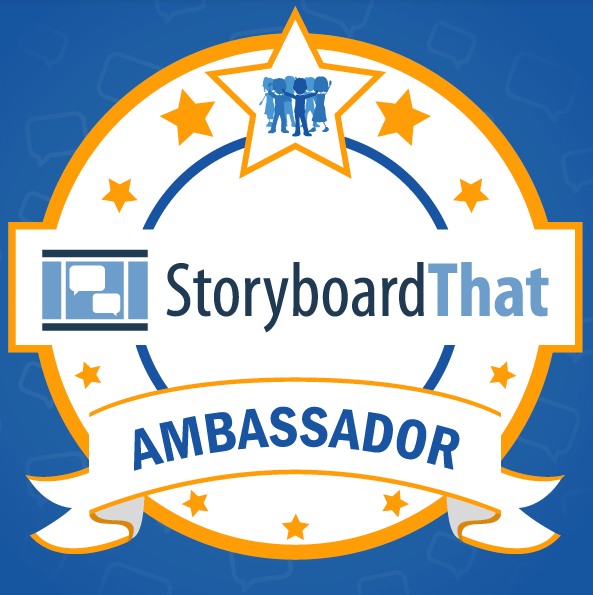 I hope you give StoryboardThat a try today.....and share it with your students and parents for summer reading and all year long. 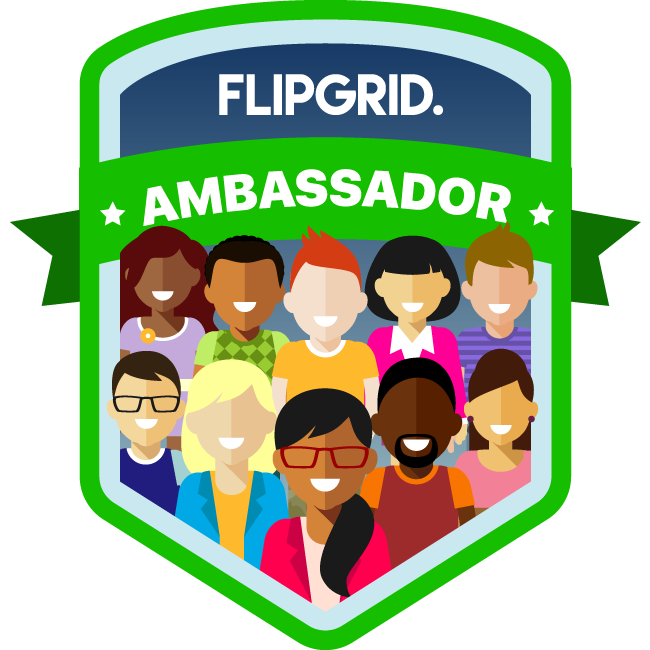 Get Smore For Your Entire School or District! 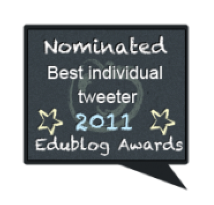 Try The Coolest Twitter Trick....QR Code Tweets! Where Did My Instagram Go, Hagan? 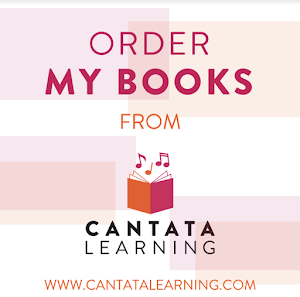 Hot Books For All Our Summer Reading!